today i created a manicure using the Nail Candy Mardi Gras collection and Bling It On pen. it didn't end up coming out anything like i expected it to... but that's generally how my nail art goes! mostly it's because i make boo boos and then have to change the game plan to cover them up :) check out my Nail Candy post to find out all about their nail art pens! to create this look, i painted the whole nail with the lime green pearl, then half the nail on a diagonal with the purple pearl. i then put a stripe in between the two using the Micro-Tip and the blue pearl. i then wanted to add dots with the glitter polish... but i couldn't get the glitter to come out of the Micro-Tip very well, so i changed tactics and used the brush end to go over the purple. i then added a purple stripe, and finished off with a gold rhinestone from the Bling It On pen. it was really easy to make a glue dot using the adhesive with the Micro-Tip! i finished the whole thing off with a coat of Seche Vite, which i had been using as a drying agent through different layers of the mani. 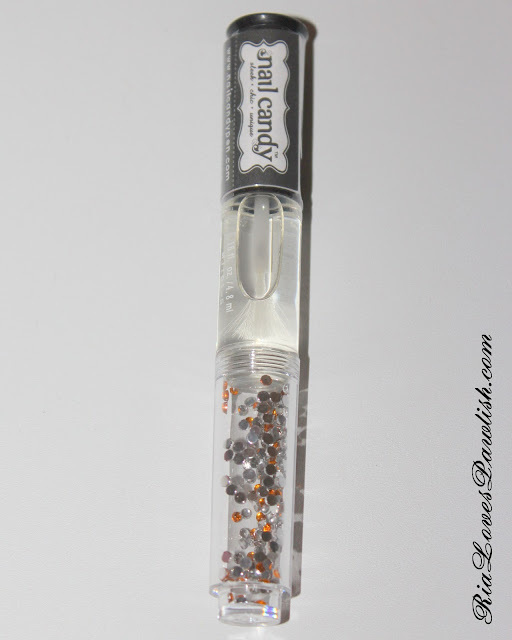 check out www.NailCandyPen.com to see all their products... they also have a store locator so you can check and see if any of your local stores carry them! these and loads of other products are available on the Nail Candy vending website. 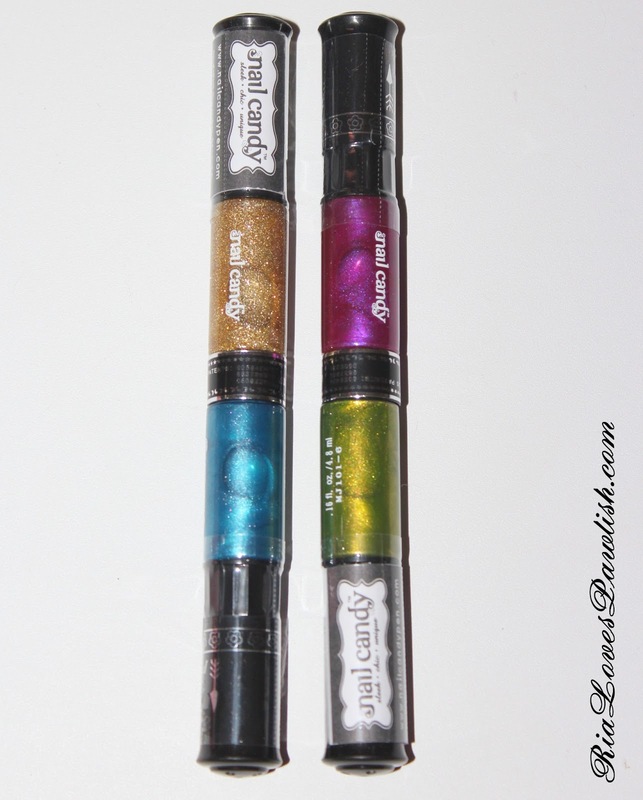 the pens retail for $10 and come with two polishes in each pen, the Bling It On pen retails for $8. 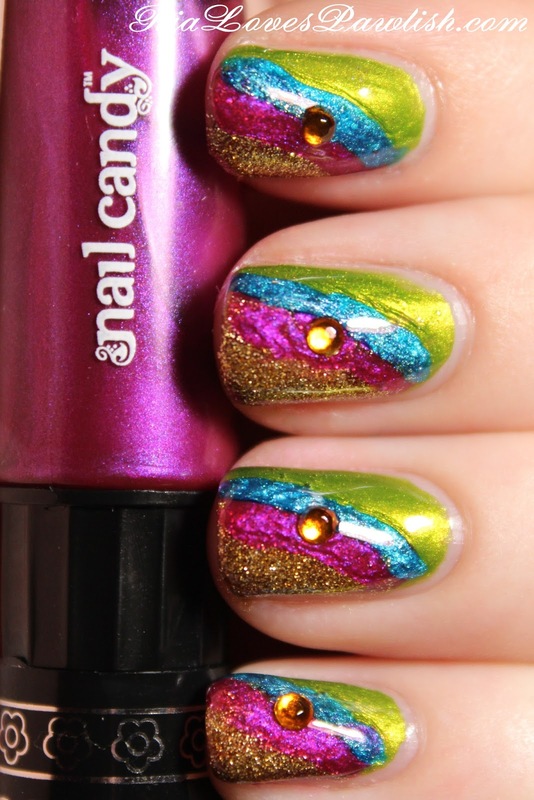 for application and use tips, check out the Nail Candy Q&A page!